The most basic one is this: You should see an orthodontist any time you have a question about the alignment of your teeth, or the quality of your bite. Sometimes, a problem in this area is painfully obvious. For example, you may have difficulty biting, chewing or speaking, or some of your teeth may be clearly protruding, crowded or misaligned. If that's the case, then it's time to consult with our office — an orthodontist has the special skills and training needed to diagnose and treat the problem. Other conditions may not be as clear cut. Mouth breathing, clenching or grinding your teeth, and the inability to comfortably close your lips may be signs that orthodontic treatment is needed. Likewise, if your jaws seem to frequently shift in position or make sounds as they move, or if you find you're unintentionally biting your cheek, you may have an orthodontic issue. The second reason for an early exam is that many conditions are far easier to treat if they're caught at an early stage, when children's natural growth processes are in full swing. For example, a palatal expander appliance can effectively treat a child's crossbite (a condition where the upper teeth close inside the lower ones) because a youngster's jaw is still growing rapidly. However, if left untreated, oral surgery could later be required to correct this condition. 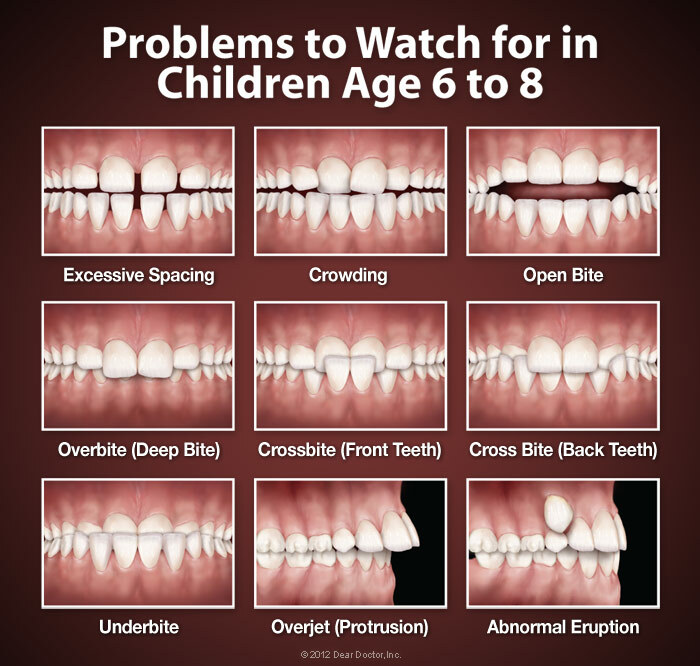 There are other problems commonly seen in childhood that may also benefit from orthodontic treatment. These include the early or late loss of baby teeth, persistent thumb sucking, tongue thrusting and mouth breathing. If you notice any of these symptoms, it may be time to visit our office. But keep in mind that early screening doesn't mean treatment has to start right away. Oftentimes, children don't begin active treatment until they are 9-14 years old. Maybe you think orthodontics is just for children. If so, it's time to think again. According to the AAO, around one in five orthodontic patients today is an adult. There are plenty of reasons why more adults are having orthodontic treatment. 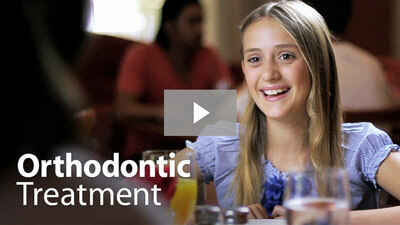 Orthodontic treatment can be successful at any age. 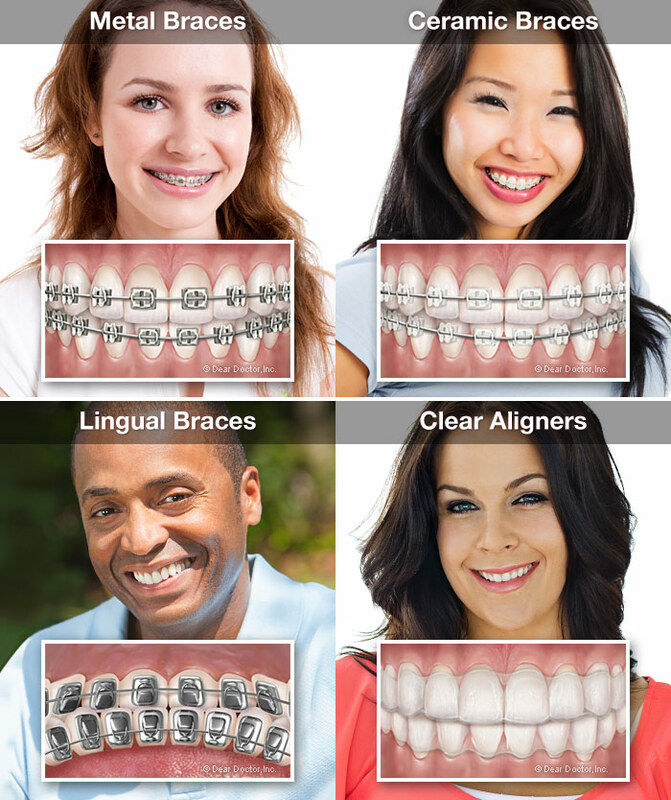 With the availability of clear ceramic brackets and Invisalign® most people can't even tell you're wearing braces. Well aligned teeth are easier to clean and maintain, and are less subject to abnormal wear. A better bite keeps you from having trouble eating and speaking, and helps your teeth stay healthy-and healthy teeth can last a lifetime. If you think you might benefit from orthodontic treatment please call our office for a complimentary consultation.